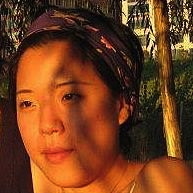 Annabelle Yeeseul Yoo’s poems appear in such publications as LIT, Denver Quarterly, Boston Review andWestern Humanities Review. She hails from New York and holds an MFA in Creative Writing from Columbia University, where she was Poetry Editor of Columbia: A Journal of Art and Literature. She is also a recipient of the 2009 “Discovery”/Boston Review Poetry Prize.